Winter floods are now occurring the east of Ireland earlier towards autumn than they did 20 years ago. CLIMATE CHANGE is having a dramatic impact on the timing of floods across Europe, including Ireland, with some happening earlier or later in the year, Irish researchers have found. In some regions, such as the east of Ireland and southern Britain, winter floods are now occurring nearer autumn than they did 20 years ago, research published in the Science journal suggested. Senior lecturer in Geography at Maynooth University, Dr Conor Murphy, joined a team of 30 European researchers and analysed quality assured data from over 4,000 river flow gauges across 38 European countries. “This newly created data set means that we are now able to identify connections that previously were purely speculative,” Murphy said. If current trends in the timing of floods continue “considerable economic and environmental consequences may arise”, according to the researchers. The study states that catchments around the North Sea, for example, may see reduced agricultural productivity due to a softer ground, higher soil compaction, enhanced erosion and direct crop damage. Floods in northeast Europe, Sweden, Finland and the Baltic states are happening a month earlier than in the 1960s and 1970s, due to earlier snow melting, which is associated with human-induced climate warming. However, in Ireland and neighbouring parts of north-west Europe, researchers found a more complex picture. Floods are happening up to two weeks later in western Ireland, northern Britain and northern Germany than they did 20 years ago. Researchers believe later winter storms may be caused by a changing air pressure, which could reflect climate change. Previous research into climate change has suggested that two in three people living in Europe may be affected by weather-related disasters by the end of the century, and the death toll from extreme weather events could rise by a factor of 50. The projected increases were calculated on the assumption of there being no reduction in greenhouse gas emissions and no improvements to policies helping to reduce the impact of extreme weather events. The estimates project a rise in the death toll from weather-related disasters in Europe would rise dramatically – from 3,000 deaths each year between 1981-2010 to 152,000 a year between 2071-2100. The study analyses the effects of the seven most harmful types of weather-related disaster – heat waves, cold weather, wildfires, droughts, river and coastal floods, and windstorms – in 31 European countries. 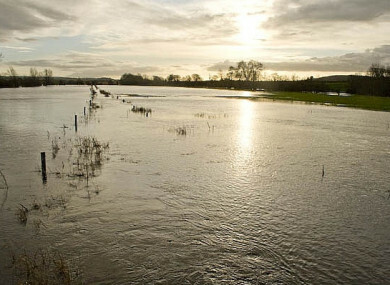 Email “Climate change behind dramatic shift in timing of Irish floods, study finds”. Feedback on “Climate change behind dramatic shift in timing of Irish floods, study finds”.